Turkey is the main sponsor of terrorist groups in Syria. The international community should start fighting terrorism with pressuring the Turkish government that it abandons its support for terrorism. The fight against international terrorism should start with pressuring Turkey, now the main sponsor for militants groups in Syria, leader of the Lebanese orthodox party Masarik Roderick Khoury said. “Turkey is the first and main power which funds and supplies weapons to terrorist groups. We believe the fight against terrorism should begin with pressuring Turkey. Now Turkey is the main sponsor of terrorism in the region,” Khoury said at a press conference in Moscow. 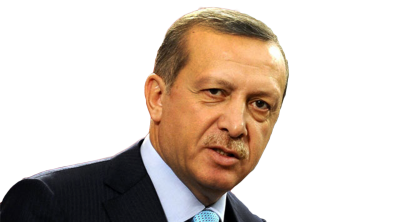 “The name of the real leader of the terrorists is Tayyip Erdogan [Turkish President]. The others like Abu Bakr al-Baghdadi [Daesh/ISIL leader] and al-Qaeda are just his servants. Al-Nusra Front also carries out orders from Turkey,” he pointed out.According to him, there is real evidence to the allegations. Khoury said that after the city of Kassab, near Latakia, was liberated from terrorists Turkish ambulance vehicles, clothes and weapons were found there.Khoury added that when the terrorists take Syrian or Lebanese hostages they only can be released after negotiations with Turkey.